«ATP Liko» – a transportation and forwarding company specialized in international cargo service in Europe, Asia, Ukraine and CIS. 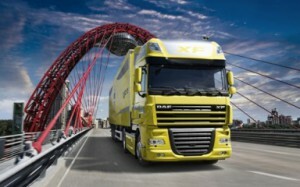 We have our own truck fleet and we are a member of Association of International Road Carriers of Ukraine. We have been providing a high-quality and reasonably-priced service for more than 15 years. 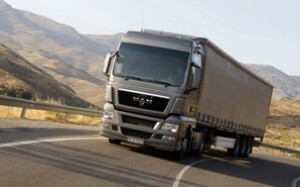 Within these years the company has established a reputation as a reliable partner with its huge experience in cargo and forwarding service. We provide our Clients with an international cargo transportation as well as customs service and logistics. Depending on the size of cargo we can offer its full-service delivery as a complete or mixed consignment «from door to door». Our team is highly skilled specialists in organizing cargo transportation with their IRU diplomas in international cargo service. Due to our own truck fleet, team of professional managers and highly disciplined drivers we guarantee our delicate and responsible attitude to your cargo fulfilling all your specific requirements and needs delivering it in time. Our partners are both small trade organizations, manufacturers and importers and world-known companies. We have an individual approach to our Clients providing them with high quality service: fast order processing, acceptable prices, reliability and quick delivery. We will be happy if cooperation with our company will help you optimize your transportation and forwarding costs increasing your business efficiency. Our company provides full transporting and forwarding service delivering your cargo by automobile transport and organizing delivery of normal, consolidated, oversized, dangerous, small, general, chemical, fragile, valuable and long cargo.